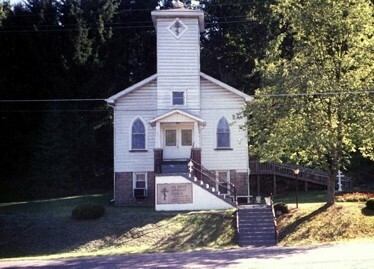 The All Saints Church is located in Wolf Run, OH, approximately 20 miles north of Steubenville, OH. Exit Carrollton/Winterville north on Highway 43. Travel north through Winterville, Richmond, Fairfield until you get to East Springfield. Look for a sign for All Saints Orthodox Church on the right side of the highway (there is also a sign indicating that the road will make a sharp left). Turn right on to County Highway 75 and go 1 1/3 miles. The Church is on the right at 1395 County Highway 75. Check Facebook for information for Feast Days and special service schedules.